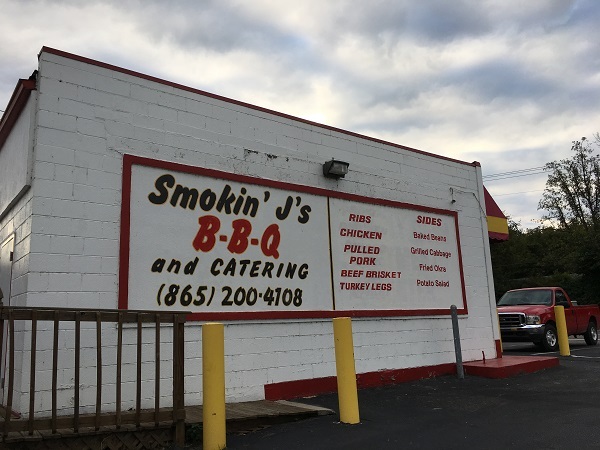 Smokin’ J’s BBQ, Knoxville TN – Marie, Let's Eat! 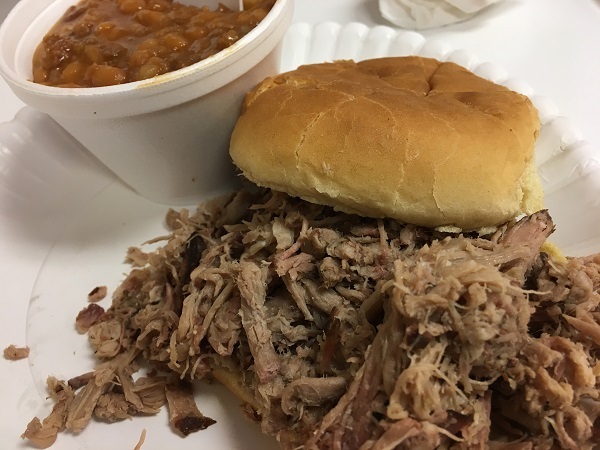 We found a barbecue place in Knoxville that is definitely outside the usual tourist route, but they serve up some pretty tasty chopped pork from their location in a former gas station. We were in Knoxville about six weeks ago to join East TN Tours for a little walk around downtown, but I was also very keen to visit someplace else in the city and continue sampling the barbecue in town. Actually, barbecue won out over a couple of other ideas, since I was reasonably confident that the five samples we would have on the tour would be more than enough for Marie, so I could be selfish and pick a place all to myself. So let’s dig into some barbecue, I thought, and looked around for a place I hadn’t heard of before. 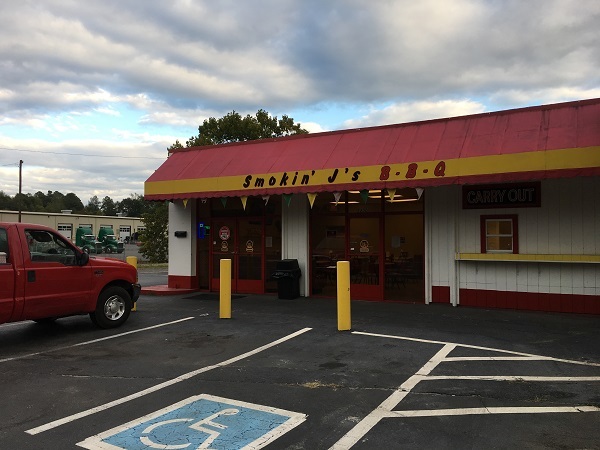 Smokin’ J’s is a no-frills place, but it’s pretty tasty. After all the eating we had done on the tour, Marie and our son passed on anything else here, so I just got a sandwich and a side of beans. They pile the sandwiches with chopped pork here. The flavor of smoke is pretty mild, and the meat is quite dry. You’ll want some sauce, and they have three on the table from which you can choose. I do love new experiences at barbecue restaurants. There is nothing printed, anywhere, to indicate what each of these sauces might be like. You will have to sample each of them, and you will certainly enjoy doing that. 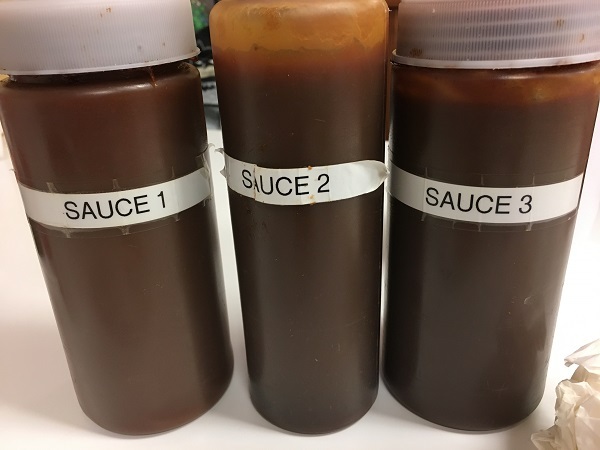 I think that Sauce # 2 is your more traditional sticky Tennessee sauce, but Sauce # 1 is very unique and a little curious. While it’s also sweet, it’s a milder and different flavor of sweet. A few Yelp reviewers helped me out here because I was useless in nailing down the flavor. It’s cloves. Use just a little of it, because neither the meat nor the sauce have a very strong flavor on their own, and they can easily overpower each other. Smokin’ J’s owner Jeffrey Minor uses a Southern Pride outside the old building. My first impression is that the pork is pretty good, not great, but you do get a lot for your money and the employees are all really friendly. I wouldn’t mind coming back to try his ribs and turkey legs some other day. Posted on November 6, 2016 by Grant G.Posted in barbecue, knoxville, tennesseeTagged barbecue, knoxville, tennessee.